Kenya’s music first lady, Nazizi became popular as a member of the top music duo Necessary Noize before they split with Wyre to undertake solo careers. 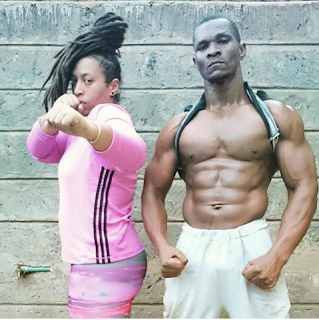 Many ladies have been admiring her of late after she shed 30kgs in 5 months and she is not stopping anytime soon. 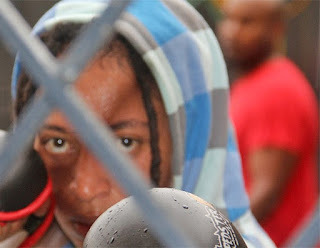 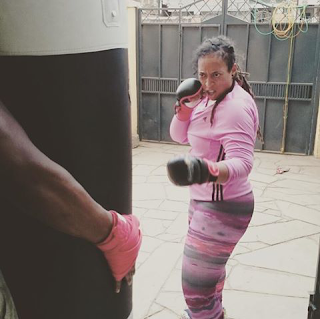 She has decided to start kick boxing to be more fit claiming, ‘’no pain no future.’’ She is being trained by Zola D, a Tanzanian rapper who is also her fitness trainer. 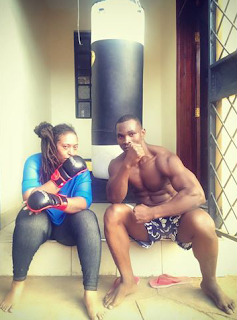 All the best Nazizi, I wish all ladies would read a page from your book.